MainOpEdsINTO THE FRAY: Gaza: Let their people go! INTO THE FRAY: Gaza: Let their people go! Instead of pouring millions into inoperative desalination plants & rusting sewage treatment works, humanitarian aid should be generous relocation grants to help Gazans find safer, more secure lives elsewhere. “...I’d go to Somalia, Sudan — anywhere but here” - Salim Marifi, student, Gaza’s Al-Azhar University, in Al Jazeera, May 6 2015. “96 percent of water in the Gaza Strip is now undrinkable” - i24 News April 9, 2017. “Each day, millions of gallons of raw sewage pour into the Gaza Strip's Mediterranean beachfront … turning miles of once-scenic coastline into a stagnant dead zone” - Associated Press , May 3, 2016. “Gaza’s sole power plant runs out of fuel” – Times of Israel, April 16, 2017. The endeavor, spanning almost a quarter century, to transform the coastal enclave of the Gaza Strip into a self-governing Arab entity (or even part of such an entity) has failed. It has failed resoundingly and irretrievably. After two-and-half decades of futile effort, the time has come to accept this—and to acknowledge that further pursuit of this ill-conceived objective will only compound the current tragedy—for both Jew and Arab alike. Indeed, with the passage of time, it is becoming increasingly clear, that as a collective the Palestinian-Arabs, in general, and the Gazan-Arabs, in particular, are totally incapable of, and largely uninterested in, creating and sustaining an independent political entity for themselves, by themselves. Underscoring this dour assessment is the increasingly frequent —and increasingly ominous—flow of reports warning of imminent collapse of virtually all the basic infrastructure in Gaza—electric power, water, sewage and sanitation systems—and the impending catastrophe this is likely to precipitate. This raises a trenchant question and one which advocates of Palestinian statehood must be forced to confront: Why has a Palestinian state failed to materialize up to now? This is not a trivial question that can be avoided or circumvented. 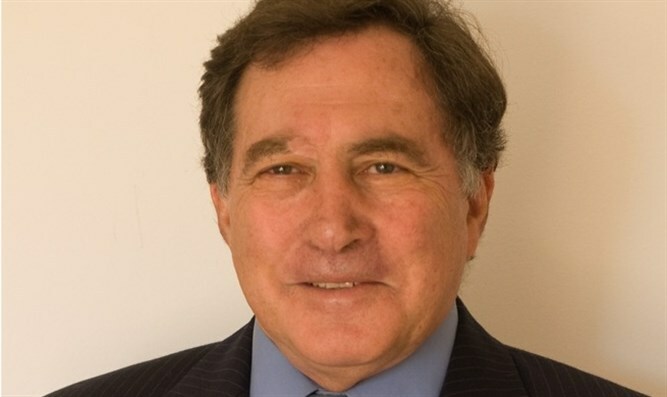 • Successive willingly compliant Israeli administrations that not only accepted their claims, but built much of their political credo on that acceptance…and gambled much of their political capital on it. Yet, despite these bountiful benefits, the Palestinian leadership have produced the most meager and miserable results. Other national freedom movements, with far less funding, far less armaments and far less political support, have cast off mighty empires. By contrast, the Palestinian-Arabs have, after decades of “resistance”, not only proved unable to assert their political independence from a tiny mini-state, beleaguered in the region and berated by all and sundry in the international community; but they have failed abysmally to create anything remotely approaching a stable, and productive civil society. Under Fatah in Judea-Samaria, they have spawned a corrupt kleptocracy. Under Hamas in Gaza, they have imposed a tyrannical theocracy. Under neither is there any horizon of hope for a better, more peaceful, more prosperous life for the general public, nor is there any prospect of such hope dawning in the foreseeable future. Both are critically dependent on the (ill-advised) largesse of its alleged “oppressor”, from whom they purportedly strive to liberate themselves. Seen against the grim realities today, this aid has failed miserably in achieving any, and all, of its declared goals! Neither stability, nor prosperity, nor effective self-government have been in any way significantly fostered. Indeed, quite the reverse seems to be the case. Thus, despite decades of generous international goodwill, all the Palestinian-Arab leadership has managed to create is an untenable, divided entity, crippled by corruption and cronyism, with a dysfunctional polity, incapable of holding even municipal elections; and a feeble economy that, with its minuscule private sector and bloated public one, is utterly dependent on external support. Moreover, humanitarian needs have not been met in any meaningful manner. If anything, the opposite seems true with the entire civilian infrastructure system teetering on the cusp of collapse. With perennial power outages, undrinkable water supplies, failing sanitation services, and awash in uncontrolled and untreated flows of raw sewage, life for many in Gaza is becoming unbearable. The reasons for the shutdowns are not related to Israel... but to intra-Palestinian quarrels between the Fatah-controlled Palestinian Authority and Hamas in Gaza; and to Hamas’s own priorities in the use of electrical power . The shutdown would leave many with barely four hours of electricity a day and would impact virtually all walks of life. One member of Gaza’s Chamber of Commerce warned that factories will be forced to shut down, because the owners cannot afford to run generators as an alternative source of electricity: “The continuing stoppage of the Gaza power plant for 20 hours a day foreshadows a real catastrophe that might affect the basic food security of the people as well as the health and education sectors,” he lamented. The power shortages have also crippled the operation of a new desalination plant and sewage treatment plant and undermines the regular operation of sanitation services. Significantly, the reasons for the shutdowns are not related to Israel’s security quarantine of Gaza, but rather to intra-Palestinian quarrels between the Fatah-controlled Palestinian Authority and Hamas in Gaza; and to Hamas’s own priorities in the use of electrical power . Indeed, senior figures in Hamas put the blame squarely on Mahmoud Abbas and the Fatah for imposing exorbitant taxes on fuel imports into Gaza. Moreover, several reports indicate that Hamas has deprived Gaza’s desalination and sewage plants of electricity, opting to use the available power for other purposes—such as Gaza’s luxury hotels, which cater for the enclave’s wafer thin affluent class. The grave results of this dysfunctional governance are not difficult to discern. Thus, with much of the sewage conveyance pipes in a state of disrepair, leaking into the coastal aquifer, Gaza’s sole source of natural water; with the aquifer itself being depleted at three times its recharge rate from rainfall; with massive flows of untreated sewage flowing directly into the sea, making the beaches and swimming a distinct health hazard, future prospects for the average Gazan look bleak indeed—with little hope for improvement on the horizon. 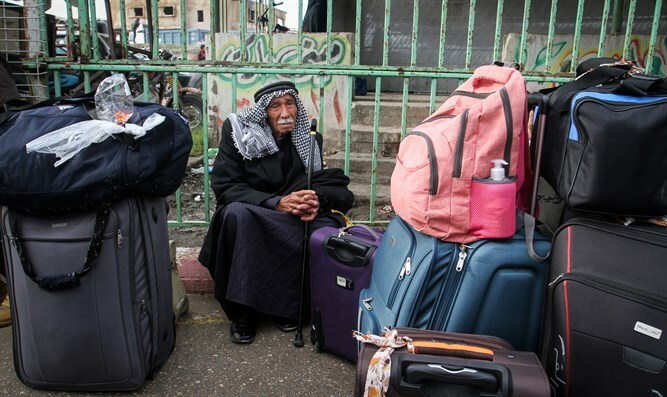 Accordingly, it is hardly surprising to learn that polls conducted by Palestinian institutes consistently show that almost half (and occasionally more than half) of the Gazans would like to emigrate—even without there being a tangible economic incentive offered. Of course, many of Israel’s detractors will attempt to lay the blame for this dismal situation on the “Occupation” and the “Siege”. But, this is merely a flimsy pretext that is sounding increasingly hollow. After all, as we have seen previously, virtually the entire crisis is a result of intra-Palestinian decisions regarding resource allocation and taxation.Indeed, the validity of this contention is bolstered by examining just how the Palestinian-Arabs in Gaza have chosen to invest their energies and divert their resources. Last year, high level Israeli sources revealed that Hamas was seizing over 90% of cement supplies entering into Gaza for its own purposes, such as construction of terror tunnels. But Hamas’s efforts were not confined to underground terror installations. The organization invested considerable effort in replenishing and enhancing its overhead weaponry. So, despite Israeli restrictions, it appears that, where mobilizing against the hated “Zionist entity” is concerned, Gazans seem able to find the ingenuity and productive energies that evidently elude them in other fields of endeavor. The current situation in Gaza, and the accompanying misery, are the direct result of the misguided attempt to foist statehood on the Palestinian-Arabs. It was Albert Einstein who famously said that one could not solve a problem with the level of thinking that created it.The problem of Gaza was, irrefutably, created by the belief that land could be transferred to the Palestinian-Arabs to provide them a viable opportunity for self-governance.Accordingly, the problem of Gaza cannot be solved by persisting with ideas that created it – i.e. persisting with a plan to provide the Palestinian-Arabs with land for self-governance. This concept must, therefore, be abandoned for any lasting solution to be possible. Clearly then, persisting with humanitarian aid, as in the past, will yield essentially similar results to those of the past. Any improvements in the humanitarian conditions will be at best marginal, probably imperceptible. The only real way to alleviate the humanitarian crisis in Gaza is to offer the Gazans what they really want – a better life elsewhere, out of harm’s way, free from the clutches of the cruel, corrupt cliques, who have lead them from disaster to disaster for decades. Thus, rather than pouring millions into inoperative desalination plants and rusting sewage treatment works, the aid should be in the form of generous individual relocation grants to allow non-belligerent Gazans to seek a safer, more secure future elsewhere, outside the “circle of violence” that inevitably awaits them if they stay. This should be the real humanitarian effort to effectively eliminate the suffering in Gaza. This should be the call to the international community: Let their people go!